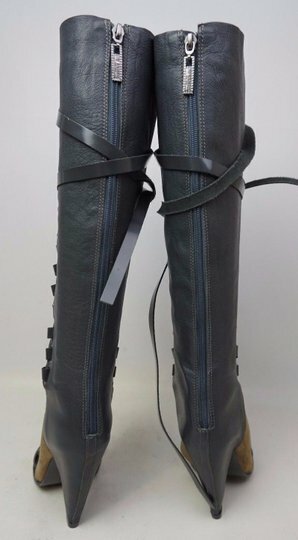 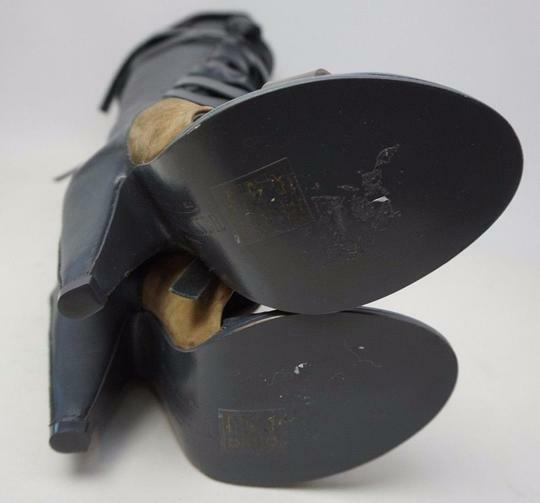 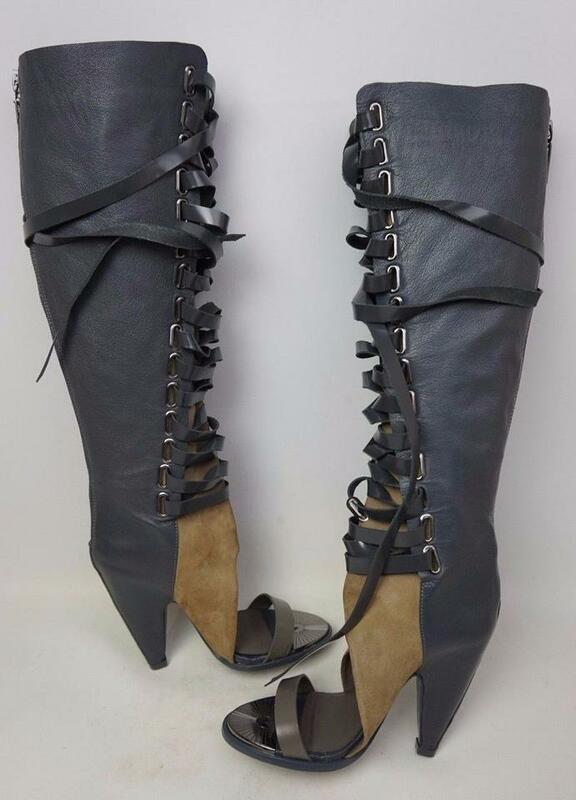 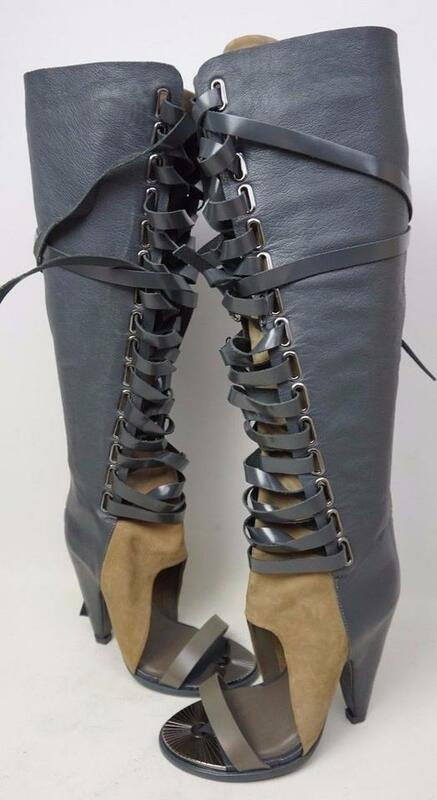 This is an Ivy Kirchner Alps Open Toe Over The Knee Boots in size 7 M.
Thick leather laces thread through gunmetal grommets up to the top of an over-the-knee boot then wind down the leg, crossing over the calf to knot nonchalantly at the side for style with attitude. 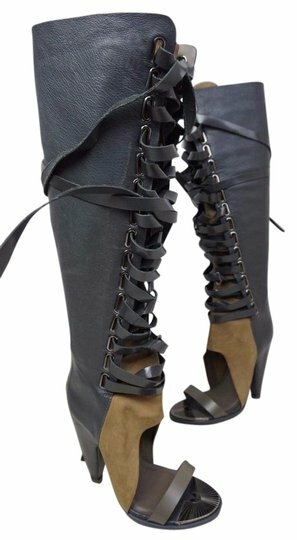 A wide-open vamp and metal-tipped toe perfectly balance out the rich leather, making this boot perfect for adding edge to your transitional fall wardrobe. Lace-up style; hidden zip closure. 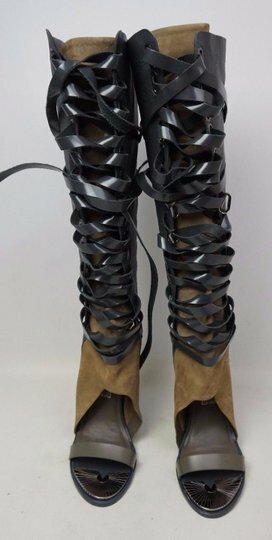 By Ivy Kirzhner; made in Brazil.